within 50 days since its launch in the United States. With the launch of iPad 2, the market for tablet PCs in the country is expected to witness fierce competition. Vendors such as Dell, Samsung, Sony, RIM, Acer etc too are coming out with tablets in a bid to capture the potential of the market. 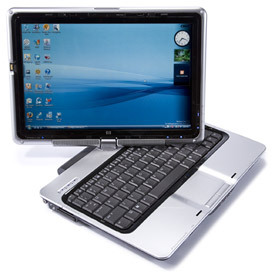 Several estimates suggests that in 2011-12, tablet PCs could touch 1 million units. At the same time experts believe that it is important that prices of tablet PCs should be lowered in order to become a mass device. Samsung’s Galaxy tab has found favors among users and the company is aiming to offer a diverse portfolio of tablets in the market this year. Acer too plans to come out with 3 tablets for Indian consumers. Sony too plans to come up with its own tablet for Indian consumers which will be running on Google’s Android operating system. A recent report from Strategy Analytics said that the tablet industry is expected to witness sales of $ 49 billion in the next 4 years.